Home Sport Do you want to play in the CD Torrevieja youth team? 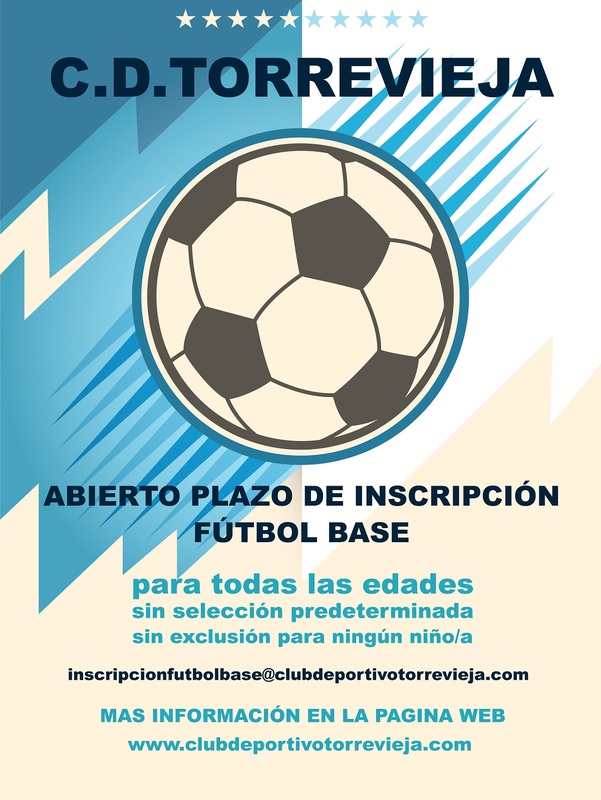 Do you want to play in the CD Torrevieja youth team? JUNIOR FOOTBALL – If you are a young football star, or if you know someone who is, why not get in touch with CD Torrevieja, as they are looking for members of their youth team. For more information, or just to apply, you can visit theirmain office in C/Caballero de Rodas, 56, in Torrevieja. Main office opening hours: Monday from 17:00 to 20:00. Tuesday to Thursday from 10:00 to 13:30 and 17:00 to 20:00. Friday from 10 to 13:30.